This weekend, she's marrying one of the world’s most famous athletes in a no expense spared ceremony, but this native New Yorker is a far cry from a wannabe WAG. Since the 31-year-old began dating Rory McIlroy three years ago, Stoll has managed the thought-to-be unmanageable – maintaining a private life when your fiancé is a very public figure. He's the world number two golfer with an estimated net worth of nearly €60 million and he’s one of the most famous sportsmen to emerge from Ireland this century and one of the most talked about figures in modern golf, making him a prime target for global tabloid attention. 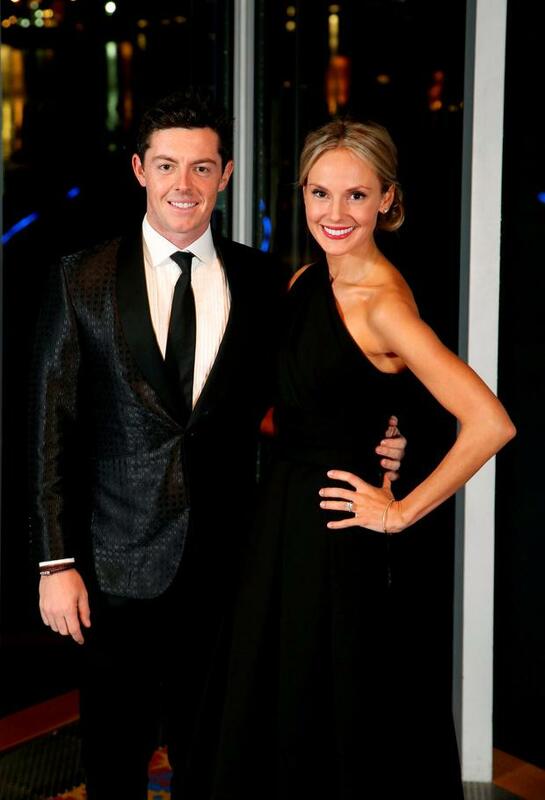 When news of their relationship first hit headlines in early 2014, you’d be hard pressed to have tracked down a high res picture of golf’s newest WAG; as reporters combed through social media desperate to find the right picture of ‘Rory’s new girl’, the best results were a few grainy photos from years previous. Little was known about Stoll and as time goes on, it's become clear that's exactly how she likes it. 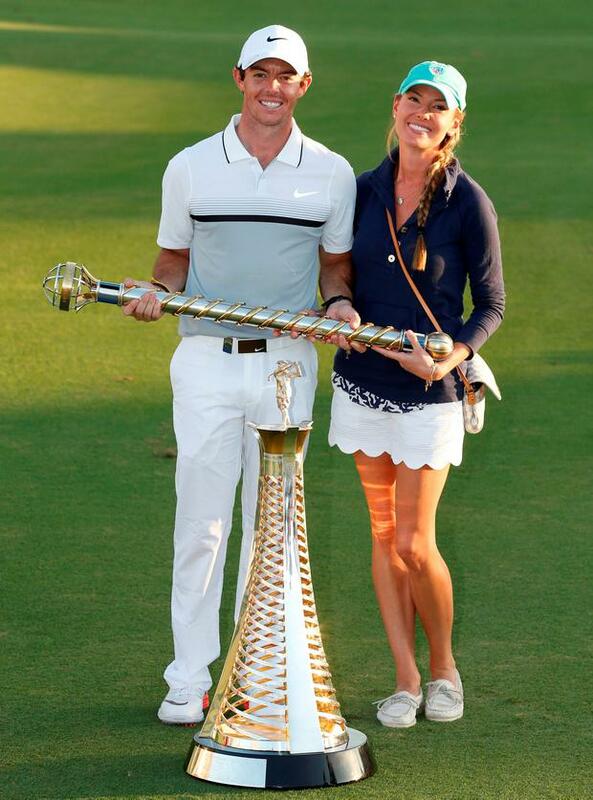 In fact, it's her discretion and desire to remain off-the-radar than McIlroy credits to helping him stay grounded. In a world where celebrities call showbiz reporters to anonymously tip them off about their high profile dates, her avoidance of fame made for a refreshing change of pace. Comparisons were made, of course, to his previous relationship with Danish tennis player Caroline Wozniacki, a three-year romance which ended with their engagement being called off weeks after their invitations were sent. Post-split, the Northern Irish golfer was linked with a number of women including Irish model Nadia Forde, Belfast receptionist Sasha Gale and South African model Shashi Naidoo; but his bachelor days weren’t to last as he settled down soon after with the beautiful blonde who shared his passion for golf. From the get-go, it was clear that Stoll had no interest in pursuing the public aspects of Rory’s life – there would be no dyed pink hair as she caddied for him at Augusta, high profile dates NBA dates, simply a handful of pictures of celebrating his professional victories, more often than not, alongside his parents. Her presence was assured, but subtle. You are more likely to see her blending in with her face hidden behind a pair of aviators and a baseball cap, her trademark Louis Vuitton cross body bag in tow. She was manager of Championship Volunteer Operations at the PGA of America and she found herself in the headlines with McIlroy back in 2012. Before there was any romance, she famously, and serendipitously, came to his Ryder Cup rescue when she noticed he wasn't on site for the final day of the competition after he confused his tee time and it was her quick thinking why he narrowly missed disqualification. Two years later, he was single again and they began meeting up when he was in the US and as friendships sometimes do, theirs turned into something more. And it has moved at lightning speed. Just a few months into their relationship, they spent the festive season together in Ireland and rang in 2015 at the five star Ashford Castle in Co Mayo, a venue which would come to be their wedding venue. It was a case of once bitten, twice shy for McIlroy, who seemed to have learned his lesson about putting too much of his personal life out there as he did with Wozniacki. In the months that followed, only select quotes praising his new love were given at opportune times, all glowing and in praise of his new love, but he was savvy enough not to share too much. "I am very happy in my love life," he said in 2015. "We haven't really been putting it out there. She is from America, which is why I like to spend time in Palm Beach. The past six or seven months have been really nice. That part of my life is going great." Just a few months later, in December, Rory popped the question in Paris, a moment which he later described as a “nice way to end the year”. "For me, Erica brings such a level of normality to everything. She has a calming presence, a sereneness and that’s not just on me; it is noticeable in any company. She never wants to be the centre of attention and is always very comfortable in the background. Her calming influence was apparent as she’s often spotted supporting her other half around the world, a full-time job in itself. As time goes on, more pictures of the pair have appeared, with one common element: they always look incredibly happy. Whether they were hand in hand on the beach in Barbados or beaming on a day out in Dublin, their united front seems genuine and it looks like you don't have to follow the celebrity mould to get your fairytale ending. Is it just me or are the Ryder Cup WAG 'uniforms' a bit Stepford Wives?